Here’s my latest build that I finished a while ago for a Bomber SiG. The kit itself is from 1994 and it has raised panellines, bad fit and lots of sinkmarks, but with some determination it’s possible to put it together nicely. I used Begemot aftermarket decals and I also made my own paintmasks using a Silhouette Portrait. 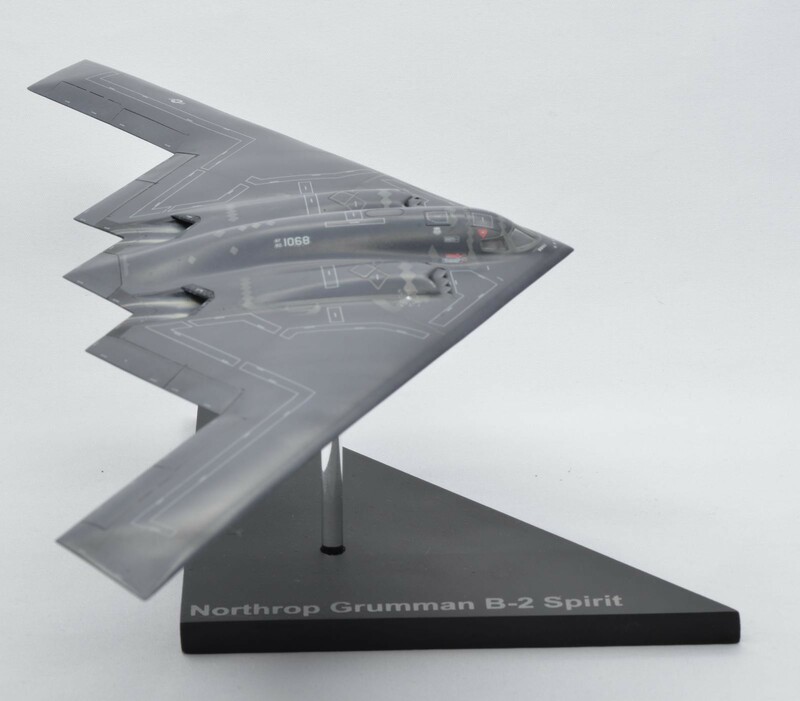 Beautiful B-2, nice stand as well, and welcome! Very nice. It turned out great. You’re a better man than I. I have one in the box and every once in a while when I get ambitious I pulled it out and start thinking about it. Then I come to my senses and put it back away. Looks pretty dang good to ME….and let me add my welcome as well. Tommy, Your extra work and care has paid off, this looks great. I was wondering what paint / color you used. 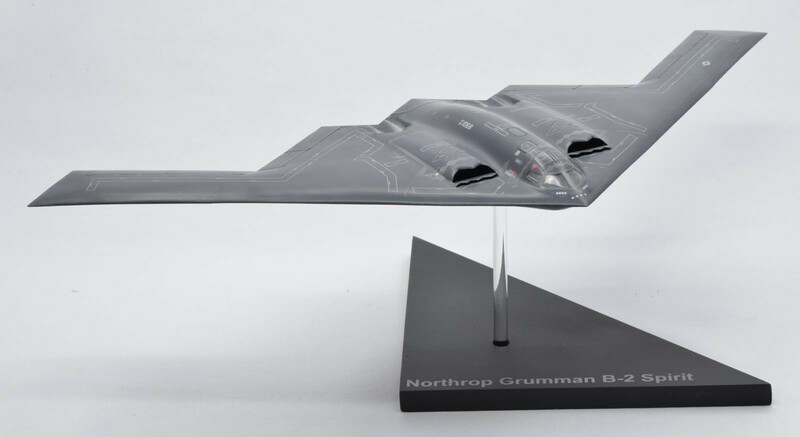 I ask because I have an F-117 kit that keeps calling on me to build ! Looks like the one I saw fly down Colorado Boulevard at the Rose Bowl Parade 10 years ago. 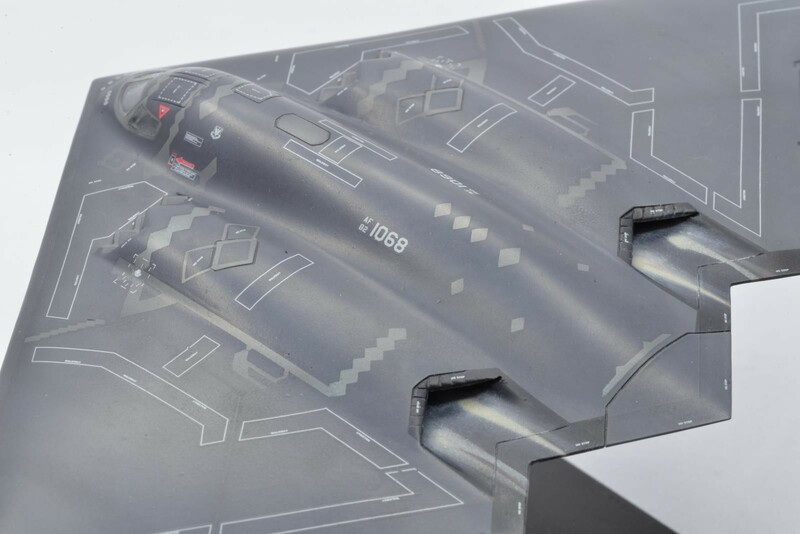 Very nice – didn’t know Bergemot made decals for the B-2 – may have to see if there’s a set for 1/72 scale. Thanks Greg, I think they have a set for 1/72 as well. Great build, Tommy. The big challenge with 144 work is getting away from the ‘toy effect’ – you’ve done that with loads to spare. Well done and keep them coming. Very, very nice build there, Tommy. You’ve done well to get a Revell kit to look as good as that. I’ve just come back to modelling after 30 years away, and bought a Revell Shuttle after recently seeing the ‘Atlantis’ in the flesh in Florida. I’d like to think that I’ve aged gracefully in the last 30 years (hmmm!) But the same can’t be said for Revell. I swear there aren’t two parts that fit together without a gap you could park your car in, or are massively out of line. Shockingly bad. Tamiya are making a packet from me buying all that putty and those sanding sticks! Unfortunately, I purchased a Revell 1/72 Eurofighter Typhoon a few weeks back….. Bugger. 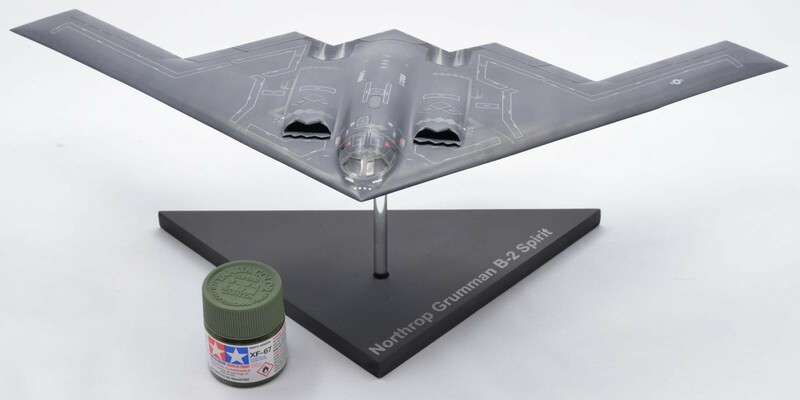 I probably used up a whole tube of Tamiya Putty on that poor kit…. Wow, had a look at your build log and I’m just amazed how much work you put into it, but it sure paid off! Very nice result! Like how you managed to get the dust out. Nice build! I’ve built this one myself and know it’s difficult to get the airframe smooth. I found filling the gaps around the intakes a challenge! Yeah, I had a lot of problems with that too. Most of the filling where done using dissolved sprue and CA-glue after that.